In past few days President Trump has been signing a lot of things and the infertility community is worried that the rumblings of H.R. 586 will be next. What most people know is that is an abortion law but it is SOOOO much more than that. We all know I did 7 IUI’s and 2 rounds of IVF and I know COUNTLESS friends who have children because of IVF or are expecting right now all because of IVF. 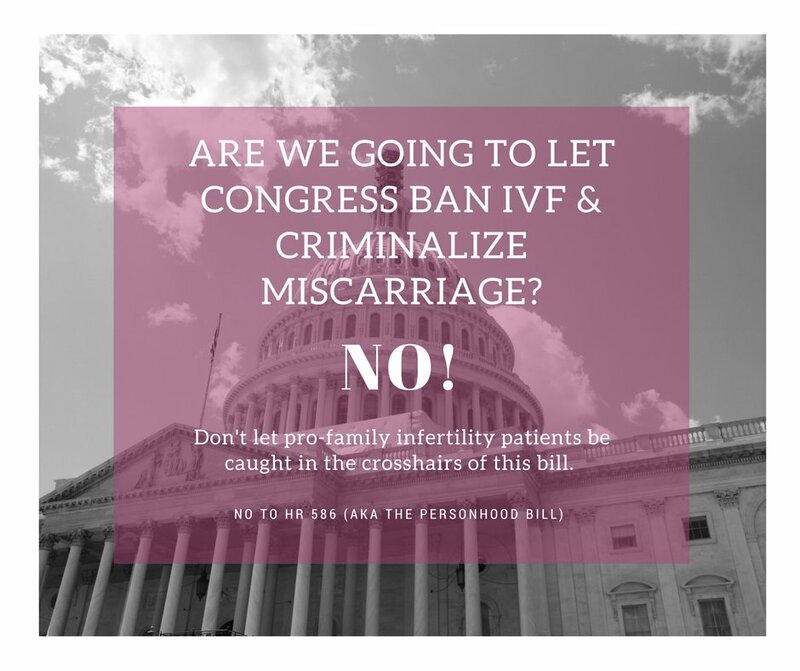 But what if IVF was banned? MY hopes of having children would have been stopped sooner and so many beautiful friends of mine would not have their children, I mean …. could you IMAGINE? Could you imagine knowing science could help couples have children but saying NO you can’t do this anymore because this ill-thought bill becomes law? Don’t believe me? Read on to educate yourself……. Share that post and this post because I can’t imagine if people in my position were not allowed to try to and have a family of their own.